Coming Soon! Bradfast have the answer to the discontinued Bostitch 538 S5 stapler. 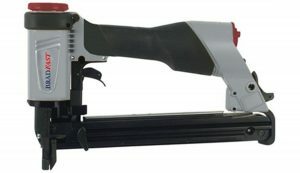 The Bostitch 538 S5 stapler has long been the market leader in frame stapling tools in the bedding industry. Since Bostitch decided to discontinue the tool Bradfast have teamed up with the original design team to bring you this new and exciting model. Tools will be available from June 2019 and in the mean time and foreseeable future we will continue to support the Bostitch version.